A couple of fan favourite bounty hunters are slated to appear in the upcoming comic book series Star Wars: Darth Maul from Marvel Comics. Marvel released their solicitations for April 2017, including a look at the cover for the third issue of the Darth Maul comic hitting the shelves that month. 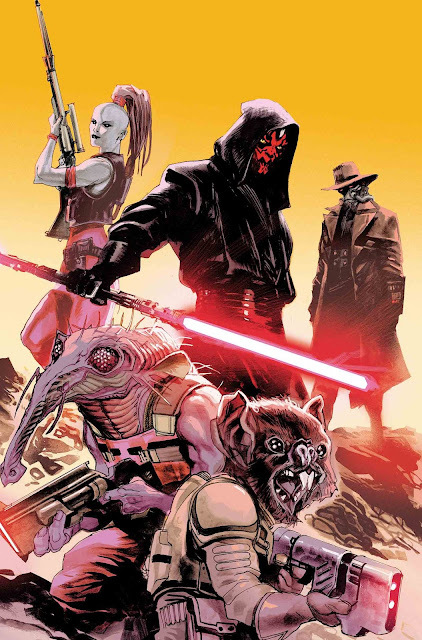 The cover features Maul standing next to Cad Bane and Aurra Sing, among other bounty hunters. Both Sing and Bane appeared on the animated series Star Wars: The Clone Wars (Sing can also be spotted briefly in The Phantom Menace). The comic is set prior to the events of the Prequel Trilogy, making it the first chronological appearance of the characters. 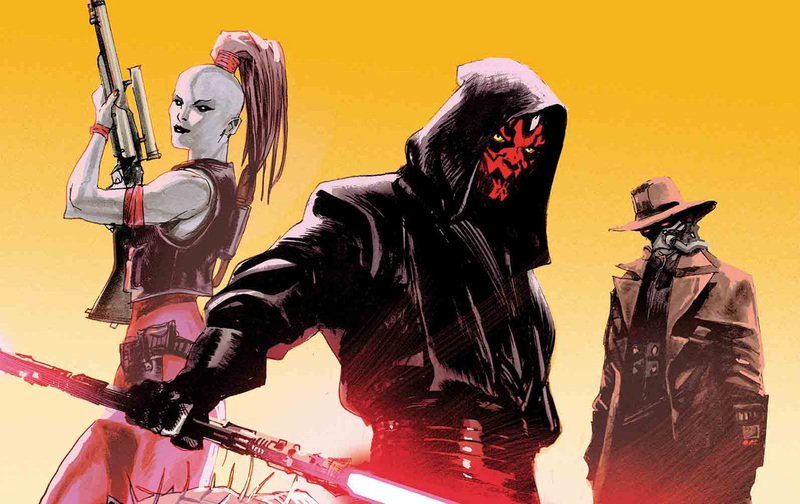 Star Wars: Darth Maul #3 hits shelves on April 26th. The series kicks off with issue 1 on February 1st.